Logitech, one of the best-known brands in gaming hardware has been around for over 30 years, more than enough time to understand what makes gamers happy. 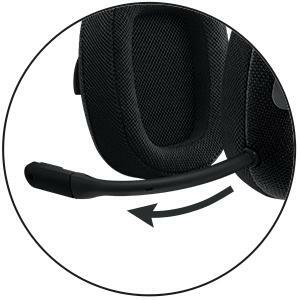 On that basis, the Logitech G433 7.1 Wired Surround Gaming Headset should be a good option for those looking for a mid-budget Headset to wear when playing on Xbox, right? Xbox One UK has had the chance to see if these deliver as expected. 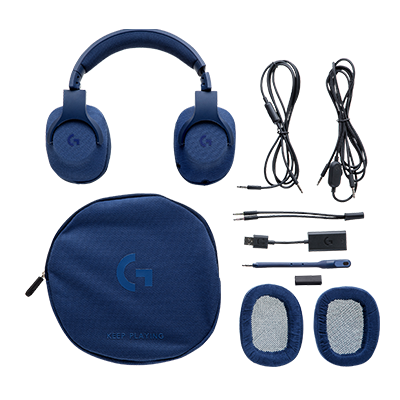 The Logitech G433 7.1 Wired Surround Gaming Headset comes in four colour options; Black, Red, Blue, and a limited edition “Blue Camo” version, all four have a matching removable mic with integrated filter. The design isn’t too chunky which means despite coming in loud colours you won’t look like you’re wearing gaming headphones. That’s good news for those of you who aren’t in a position to have dedicated headphones just for gaming and want to take these out and about without looking like you’ve a couple of dustbins strapped to your head. Sizing and adjustment of the headset is good, they feel like they’ll stand up to being taken off and on a lot of times before becoming loose. The first couple of wears they were actually a bit too tight but after a couple of days they settled in. The material earcups felt a lot nicer than some leather/vinyl covered alternatives. No sweaty face here! The Logitech G433 is a 7.1 surround headphones which mean they are trying to create the illusion of a 7 speaker plus one subwoofer set-up. We found the surround effect to be good, testing them using two different types of scenario, playing a game and listening to music, (after all, they are trying to be multi-purpose). Playing Battlefield 1 the surround worked well and the positioning felt accurate, allowing us on several occasions to hear someone trying to rush us from behind. Bullets whistled past our face and it was easy to work out where our comrades who we’re shouting for a medic were laying, (we ignored them as all medic’s in BF1 do). In the low/medium budget range, the microphone is often the “weak link” feeling like a last minute addition to make a set of headphones suitable for gaming rather than being designed with gamers in mind. On the Logitech G433 Gaming Headset, the microphone is alright, it wasn’t the best we’ve ever tested but certainly not the worst. For the price, most people will be happy with the quality of the voice recording. If you’re looking for a mid-budget wired headset that can be used while playing on the Xbox One or listening to music on the train then the Logitech G433 7.1 Wired Surround Gaming Headset is a good choice to go with. We really liked both the look and feel and the sound quality was of a good enough quality to keep most gamers happy. If you’re a regular user of headphones for gaming you might want to look at some of the more expensive options such as the Astro Gaming A50.